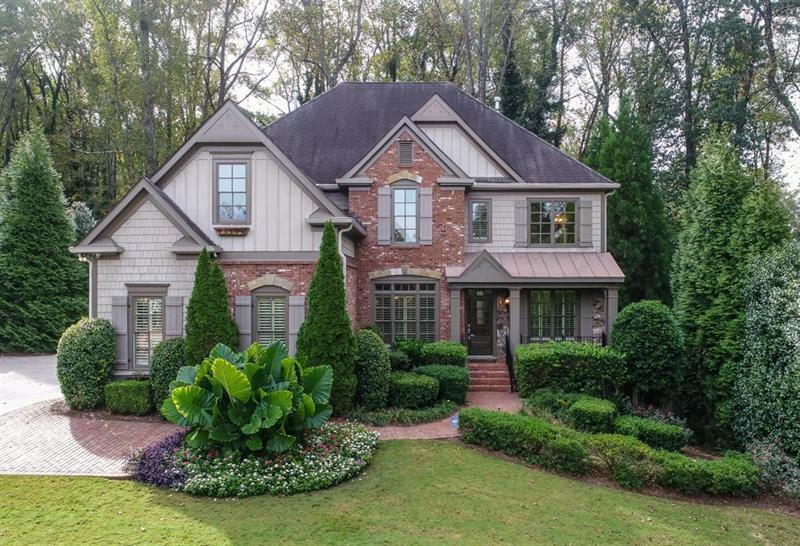 This executive estate sits on a perfectly landscaped & fully fenced lot w/ gated entry! Large, flat front yard + big backyard w/ deck, 2 patios, grassy area & private, wooded views! Home features luxury trim details, hardwood floors & plantation shutters. Office/full BA on main. The chef's kitchen includes island, SS appliances & butler's pantry. Keeping, family, great room & breakfast room have amazing light from tall windows & high ceilings! Master retreat has a sitting room, custom wardrobe & spa-style bath. Terrace lvl in-law suite, security, fitness area & sauna. A representative from Metro Brokers has received your request to visit 1845 Remington Road on at .